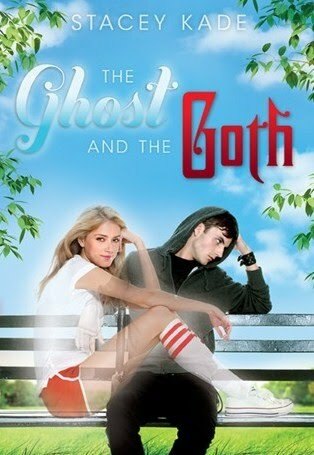 For a long time I had wanted to read this book after reading the synopsis and countless book reviews encouraging everyone to read The Ghost and the Goth as soon as possible. During my last trip to Barnes and Noble I was lucky enough to find this lying on one of the shelves and it took everything from squealing like a little girl in excitement. I really enjoyed this book, it kind of reminded me of the Kissed by an Angel series during its serious moments and Chasing Brooklyn with the guilt and redemption repetitive themes going on throughout the book. I really liked the relationship between stuck-up, cheerleader Alona and ghost-whispering, goth Killian. I read this book within less than two days and stayed up way past three in the morning just to finish it, so yeah this book is pretty darn good. Not very many books can make me stay up that late to finish them. What I like about ghost stories is when the main character is the only one who can hear, see or speak to the ghost and everyone else thinks they've lost it. Great review Noellie :) !! I read this one recently and very much enjoyed it too :) !! I really liked the fact that we gett 2 different perspectives too and the humorous style of the book :) !! Are you planning to read the next book in the series ?